Infuse energy back into the practices of your PLC. Explore the authors’ four-stage authentic alignment model, which will take you through the Why, Eye, How, and Now of transforming your school’s culture. 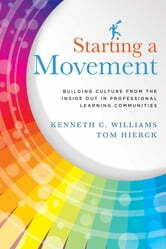 Through this inspiring guide, you’ll discover how to bridge the gulf between principles and practice to cultivate an empowering environment that is committed to a cycle of continuous improvement.